There are a few essential things that every vampire needs. First is a sharp set of pearly white fangs. Second is a charming demeanor. And the last thing is an impeccable sense of style. 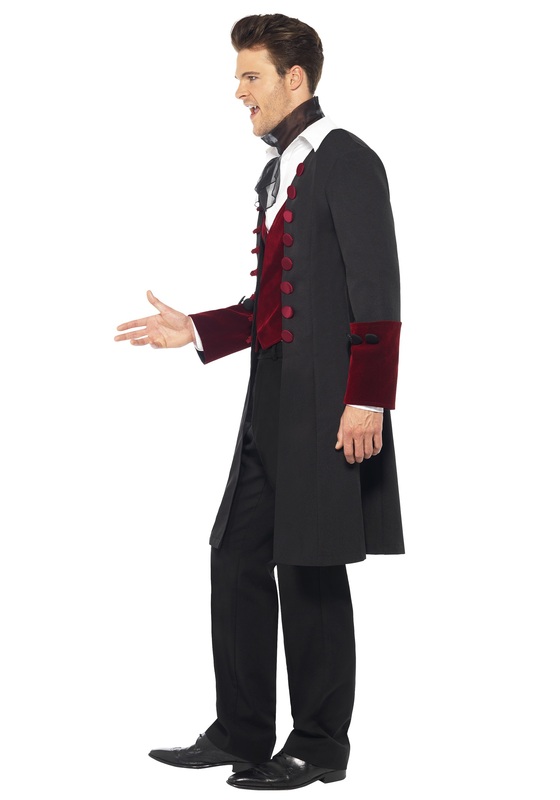 While you're on your own for those first two, we can help you out with the last one, with this Gothic Vampire Costume. 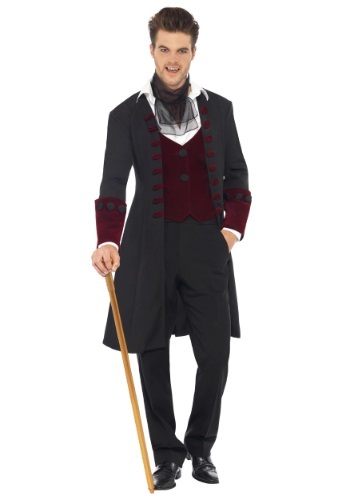 A well dressed gentleman of the 19th century would have never left the house without their frock coat. They would probably also have plenty of other accessories with them all the time, like a cane, top hat, scarf, opera glasses, and so on. But, for the purposes of this exercise, we're just going to focus on their stylish coats. Back in those days, they were designed to keep you warm and dry, since it was cold and damp everywhere you went. Staying warm was not a big concern for a clammy-skinned, immortal bloodsucker, but we bet they were interested in the dapper style of overcoats like these. So, what is it exactly about this coat that would make a Gothic vampire so excited? Well, for starters the dark brown and blood red fabric are exactly the kinds of macabre colors that fashionable vampire are drawn to. 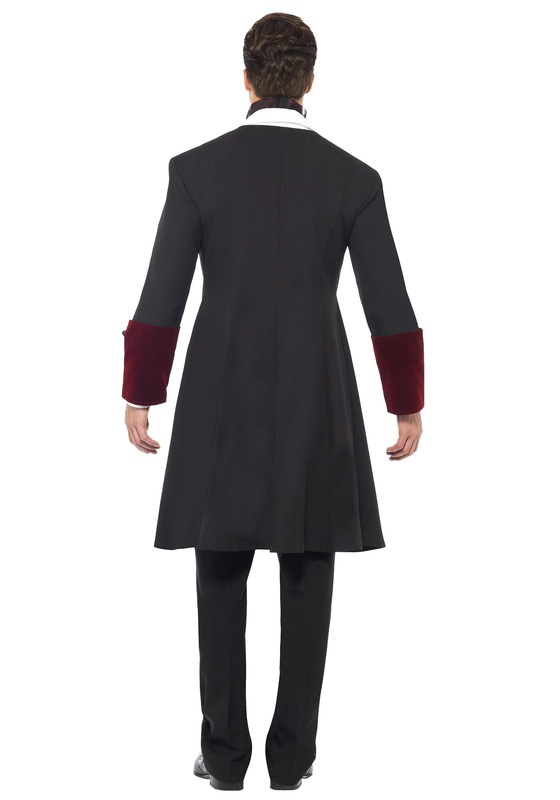 The attached red velvet vest panels under the coat can turn any shirt into a formal outfit. 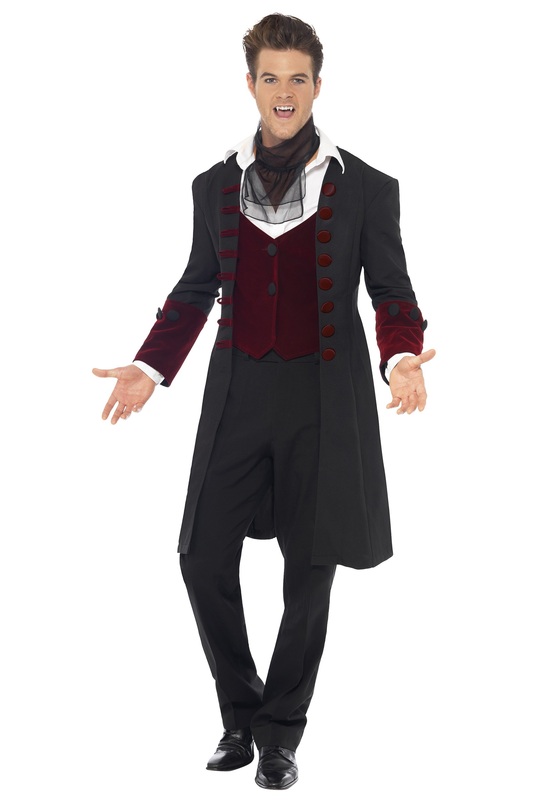 The costume also comes with a black mesh cravat, to add to your air of allure and mysticism. Wearing this over any trousers and collared shirt you may have will instantly help transform you into a proper creature of the Victorian night. Just sharpen your fangs and work on your small talk, and you'll be the most popular party guest since Dracula! Awesome Design - High Quality Costume! This costume was beautifully designed and constructed. The materials of the jacket and vest are high quality. I was actually blown away at how amazing this costume is. I definitely can use this over and over again and in different ways.